Hey there Peeps. Well it's hard to believe that Spring is upon us with the chilly weather and snowy forecast and you know what that means?? ?Yes visions of patriotic holiday decor begins to dance in my head. Really I like to have the seasonal decor out all summer long so I have to get a head start on it. Today I'm sharing a Liberty Wall Hanging I created using the Ribbon of the Month Club Selection and loads of fabulous Mulberry flowers. 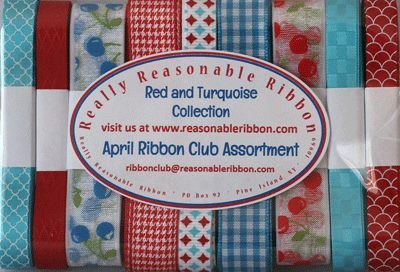 Really Reasonable Ribbon Supplies~ Ribbon Club, Chrysanthemums, Cosmos, Cherry Blossoms, and Spiral Stamens. Okay that's all for me. Wishing all of you a happy and productive day with lots of time to be creative! Ginny: Very beautiful bows and gorgeous project.